marhaba’s comprehensive range of airport Meet & Greet and lounge services makes arriving or departing simpler, quicker and less stressful. Launched at Dubai International Airport in 1991, it provides invaluable airport services for over two million passengers every year – from tourists and families, to VIPs and corporate customers. marhaba services are available in Dubai International and Al Maktoum airports. Spend your Skywards Miles on selected marhaba Meet & Greet services when arriving or departing at Dubai airport. Start spending from 4,850 Skywards Miles. Regardless of what airline you are travelling on, or whether booking for yourself, family or friends, marhaba makes a journey through the airport something to look forward to. Visit marhaba’s website to see the eligible packages and how many Skywards Miles are required. You will need to log in to your Emirates Skywards account in order to spend Skywards Miles. Book nowBook nowOpens an external website in a new tab. Emirates Skywards members can spend their Skywards Miles on select marhaba Airport Meet & Greet services whether they are flying with Emirates or any other airline. Skywards Skysurfers are excluded from this offering. The list of Meet & Greet services offered is dynamic and subject to availability at the time of booking. From time to time, you may see only selected services offered. No offline bookings are possible using Skywards Miles. Miles quoted are per person with the exception of the Family Meet & Greet service which includes a group of 4 passengers. A maximum of 5 additional passengers can be booked with Skywards Miles for this service. Skywards Miles quoted are inclusive of Value Added Tax, as applicable on products and services provided in the UAE. In booking marhaba Meet & Greet services using Skywards Miles as the form of payment, the Emirates Skywards members consents and authorises Emirates Skywards to collect, use and transfer to marhaba certain relevant member information held by Emirates Skywards including; Emirates Skywards membership number; first and last names, tier status and available Skywards Miles balance. Such disclosure shall be made for the purpose of enabling the Emirates Skywards member to avail of the partnership benefits. All bookings and mileage deductions will be processed instantly. Meet & Greet services can be paid for in full with Skywards Miles, it is not possible to pay with a combination of cash plus Miles for any individual service. Any additional marhaba services required must be booked separately and paid for with cash or credit card. Meet & Greet booking confirmation will be sent via email from marhaba. The redemption rates for marhaba Meet & Greet services are subject to change at Emirates’ discretion. 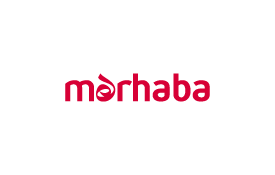 Any changes to marhaba bookings must be communicated to marhaba directly via email at marhaba@marhabaservices.com(Opens your email client), or by calling the marhaba call centre on + 971 800 3898989. Changes are limited to cancellation and flight date change only. Service change or increase in passenger count is not permitted. marhaba terms and conditions(Opens an external website in a new tab) apply.